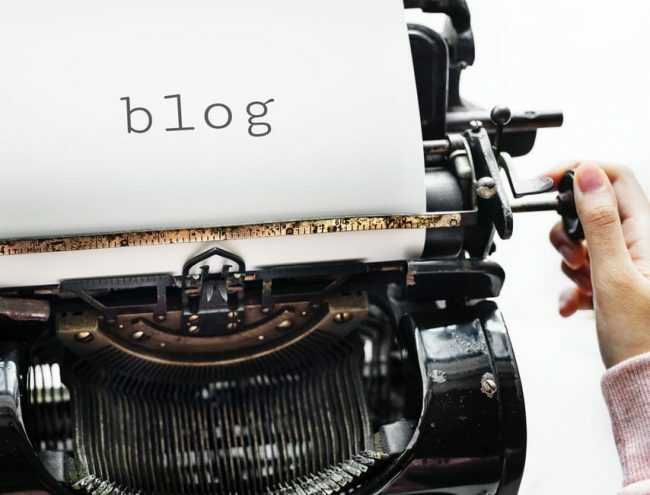 Creating and maintaining a blog can be an excellent way to support your search engine optimization efforts. Build your brand awareness, and establish your business as a leader in your industry. However, a blog only works if people actually read it. People will only read your blog if they find it visually appealing and easy to digest once they land on that section of your website. To help you build blog content that is visually compelling, here are a few web design tips. Keep paragraphs short in your blog’s web design. One of the keys to a visually engaging blog post is clarity in the organization of the content. That means that one of the strategies to an effective blog web design is to keep paragraphs short. Limiting paragraphs to a few sentences can help create a look that emphasizes white space and makes the blog easier to read. Plus, visitors who want to skim the content can glance it over more effectively. When it is broken down into short paragraphs this is easier than when it consists of large blocks of text. Break content down into sections in your blog’s web design. Another way in which you can create a more readable blog is to break your blog content down into sections. The most effective way to do so is to use headings and subheadings to delineate breaks in your writing. The result of using subheadings is more white space in the text that creates a cleaner look. Headings and subheadings allow readers to quickly digest the main points of your writing. They do not have to read the whole article if they do not want to. The result is a design that is easy to read and digest and, therefore, more visually appealing to your blog visitors. Keep line lengths short in your blog’s web design. As you may have noticed, readability is a large part of what makes a blog’s web design visually appealing. Readers want to quickly understand and digest your blog articles. One of the ways to improve this readability is to limit your line lengths to about 100 characters. This means that each line of your blog should be about 100 characters before it jumps to the next line. The reason for this is to make it easier for readers to find their way to the next line without losing their place in the article. Longer lines are more difficult to keep track of. Shorter lines can be annoying to read and less visually appealing on the page. The right line length both looks good and is easy to read: A winning combination for your visitors. Follow web design best practices. There are specific ways in which you can improve the web design of your blog. Your blog will also benefit from following general web design best practices. For example, include beautiful, high quality, and unique images to accompany your blog posts. Include intuitive navigation elements, such as search bars, sidebars, and subscription options. Incorporate abundant white space to catch the eye and highlight the important parts of the blog. Use complementary colors and limit fonts and colors to no more than 3 each. The best web design practices will give your blog the look it needs to stand out to your visitors before they even begin reading. Promote your most popular material on your blog’s web design. As you build extensive blog content, you will find that some articles are more popular than others. Some may even go “viral” and attract hundreds or thousands of new visitors. Instead of allowing this content to fade to the background over time, you can improve your blog web design by promoting this material on your website. Create sidebars or links to your most popular content. You may also consider linking to this popular content within your other blog articles. Particularly popular pieces of content may even be placed at the top of your blog pages, as long as the content is evergreen and still relevant to visitors. By promoting your most popular and relevant material, you ensure that your best content continues to draw visitors to your pages. Create a blog web design that loads quickly. Finally, you can create a compelling blog web design by creating a look that loads quickly. Fast load times are key to keeping visitors’ attention, and encouraging them to explore your website more thoroughly. An increase of only a second or two in load time can be enough to send potential visitors looking for another website to read. Follow best practices for creating lean pages that load quickly. For example, limit image sizes, cut bloat, and implement lean coding. Eliminating any unnecessary elements on your web pages should also reduce the overall load time, while making your pages more effective overall. The result should be a page that loads rapidly enough to keep your blog visitors happy and reading. 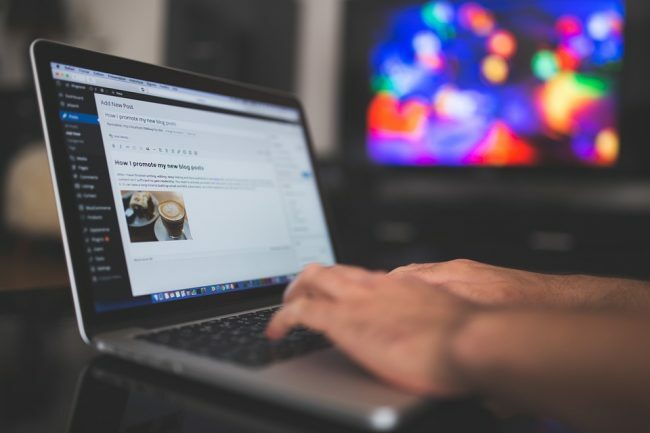 Creating a web design for your blog requires you to follow a few best practices that increase the overall readability and visual appeal of your blog articles. Web design best practices are a good place to start. Following specific practices designed to break down the blog into digestible parts can make it even easier for visitors to read. Consider shortening your paragraphs, limiting your line lengths, and using subheadings and headers. If you need help launching or maintaining a blog, do not hesitate to reach out to WEBii. Our professional web designers can help you create the powerful look your blog requires. In addition, we can often provide the expert blog content you need, in your brand’s voice. And those two elements can lead to a blog that helps you meet your website and search engine optimization goals.